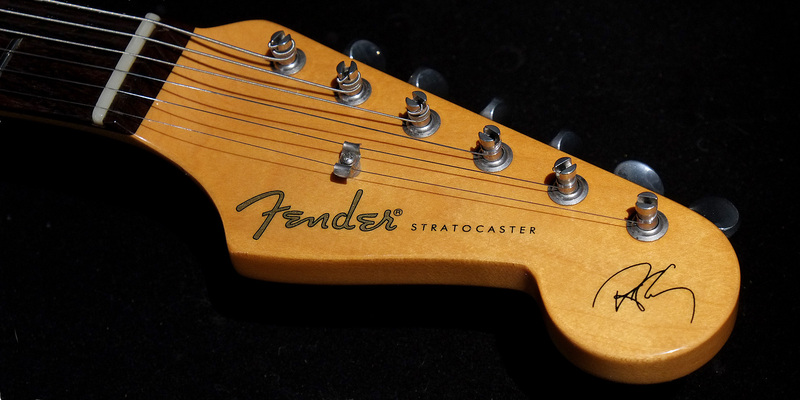 After putting a “frosted duco” finish on a Les Paul, it was only natural to want to try it on a Stratocaster. 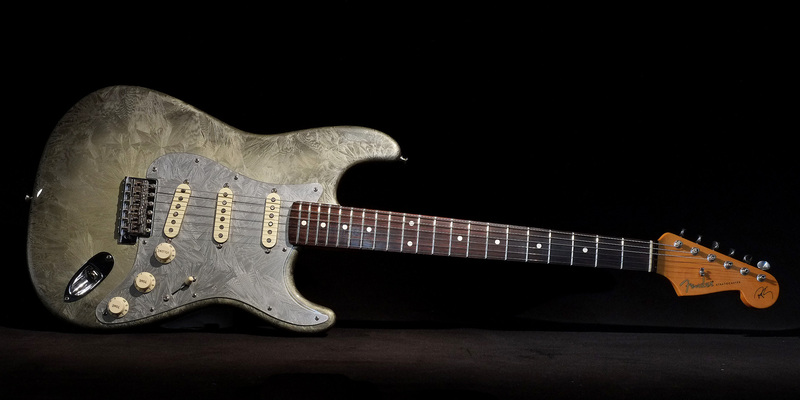 This guitar is the prototype guitar for a project I have been working on with Scott Beuhl, a Master-Builder in the Fender Custom Shop. Scott provided me with several bodies that I worked very hard on to apply a crystalline finish. The second of the bodies was assembled and displayed in the Fender booth at The NAMM Show in January 2016. This one, is the body I did much of the testing and experimenting on to get this finish to work correctly on wood. Or should I say work correctly on alder. Each type of wood has it’s own set of problems for this finish. My test body got pretty dinged up in the process of painting, stripping, and painting again many times, so it was no longer a viable candidate for Fender. It was, however, viable for me. So I applied a vintage green “frosted duco” finish. 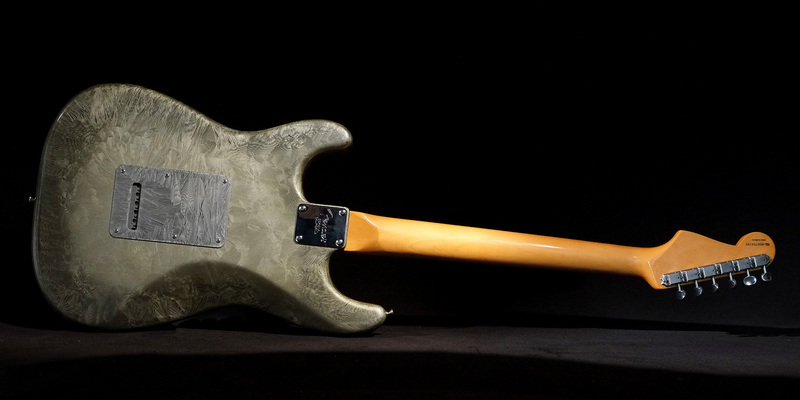 The same finish I use to restore original Duolians, but with one big difference. 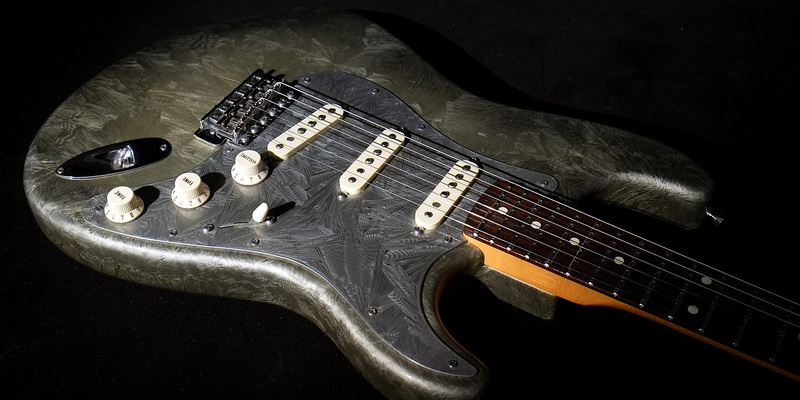 This guitar has been clear-coated, leveled and buffed. No Duolian got that treatment. “Frosted duco” under a smooth, gloss finish is pretty amazing. 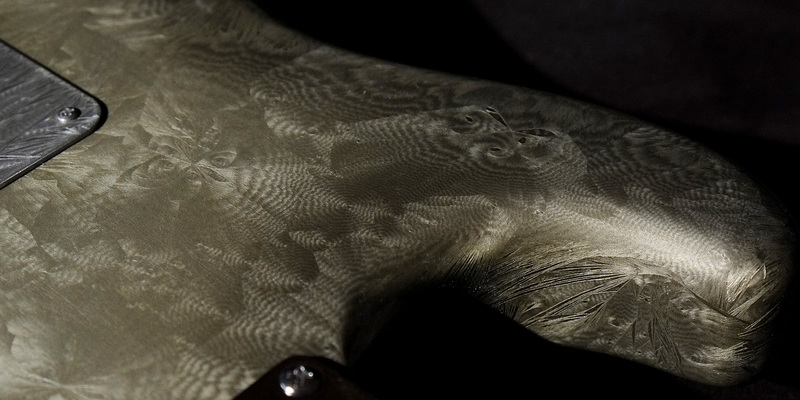 The texture and pattern pop! 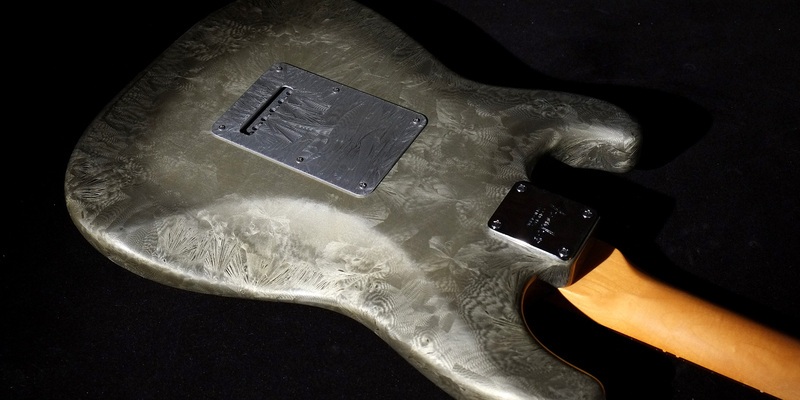 But the work and prep to get it to that point is way beyond a typical gloss guitar finish. No matter how much leveling of the surface you do before applying the finish. The finish itself is inherently not level, so you have to deal with that in the clearcoat stage. After I got the body completed, I sourced some parts on ebay (all genuine Fender) and assembled it. I put a Robert Cray signature neck on it, to get a slightly fatter profile and the rosewood fingerboard.